Winter is coming, which means it’s time to plan a getaway to sunny San Luis Obispo! Escape the cold and experience all that the Central Coast has to offer while celebrating the merriest season of all with these must-see activities, attractions, and events. For only 50 cents, catch a ride downtown on the Old San Luis Obispo Downtown Trolley from hotels on Monterey Street. 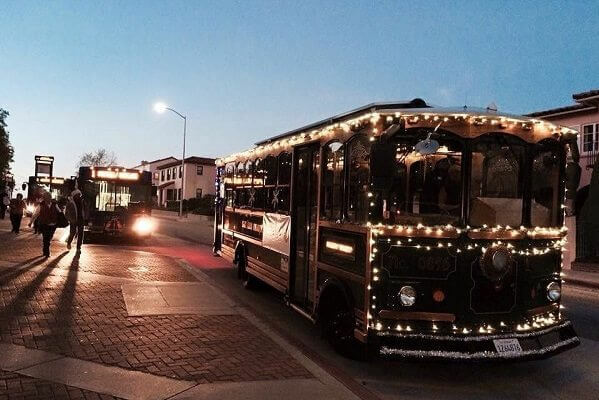 This classic trolley is a fun way for all ages to experience San Luis Obispo, whether you are heading out to dine at a local, farm-to-fork restaurant or visiting Santa’s House in Mission Plaza. Every winter, from late October through February, thousands of majestic orange and black Monarch Butterflies can be seen clustering in the eucalyptus and cypress trees at the Pismo State Beach Monarch Butterfly Grove. This one-of-a-kind experience is just a short, 15-minute drive from San Luis Obispo, located off of Highway 1. As some of you know, San Luis Obispo was voted one of the happiest cities in America. This may be true since we never forget to treat ourselves to a cold refreshment every now and then. 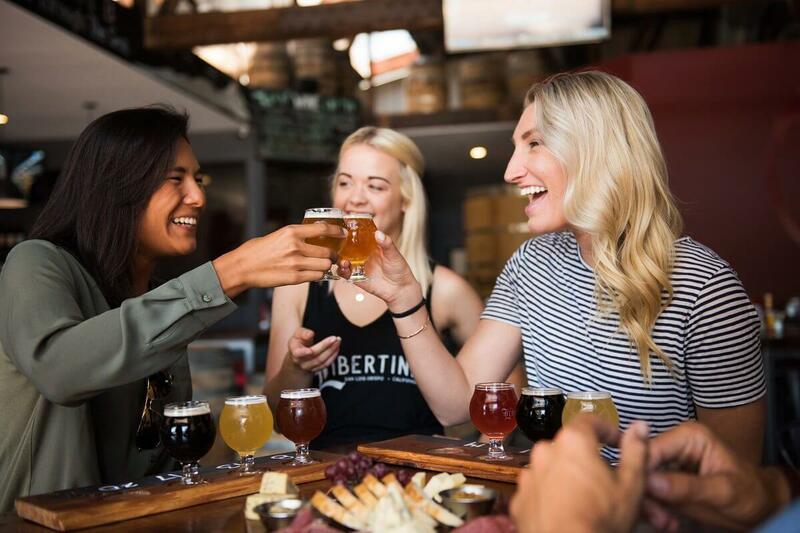 Be sure to pencil in a wine, craft beer or cider tasting at one of the many local wineries, breweries and cider houses in and around San Luis Obispo. Start mapping out your trail today! 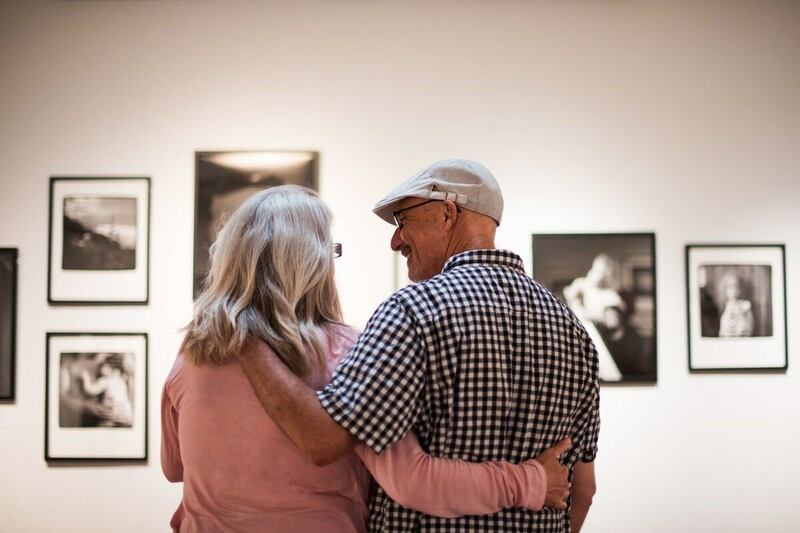 Explore the Central Coast’s creative community by perusing a local art gallery or attending Art After Dark, a free art event happening on the first Friday of every month in Downtown SLO. You may even find a one-of-a-kind gift for a loved one (or yourself) at these unique galleries. Are you a classical music enthusiast? You won’t want to miss the Festival Mozaic WinterMezzo Chamber Music Series, happening February 23-25. This annual concert series features internationally-renowned artists who perform the works of Mozart, Chopin, Prokofiev, and more. Stop by Avila Valley Barn for an authentic farm experience where you can pick your own seasonal vegetables and select your holiday tree from November through December. Perfect for a family fun day, Avila Valley Barn also has a petting zoo full of farm animals for visitors to feed and interact with. If you’re looking to take home a treat or souvenir, we highly recommend exploring their country store, including hand-made, artisan baked goods, ice cream, fresh-pressed apple cider, festive decorations and gifts. The Apple Farm Inn and Restaurant will be decked in its holiday finest for fun festivities, including visits with Santa, Christmas carolers, seasonal selection of home-baked holiday treats, and more. 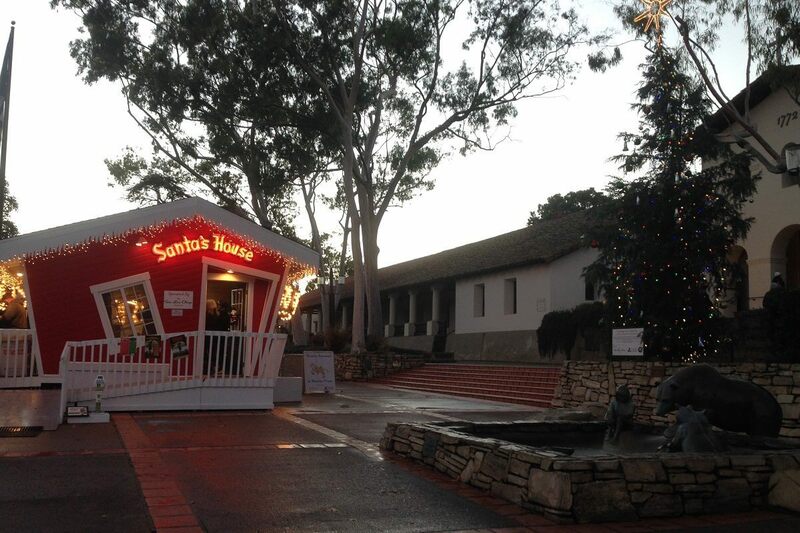 Come visit Santa in Mission Plaza at Santa’s House! Each child that visits Santa Claus will receive a free candy cane, toy, and coloring book. Bring your family and visit the Classic Carousel in Mission Plaza. 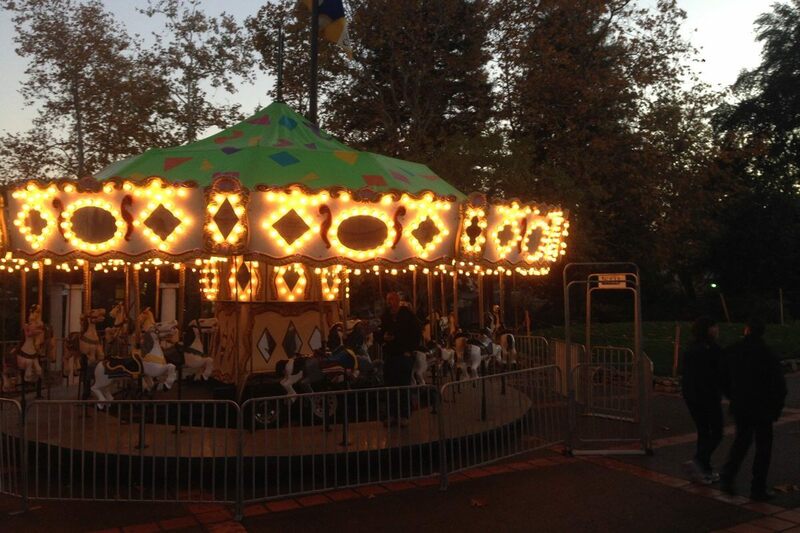 Located right next to Santa’s House, the carousel is a San Luis Obispo favorite sure to get you in the holiday spirit! Discover how Mr. Hearst and his guests celebrated the holidays at Hearst Castle through this special seasonal tour, showcasing an abundance of holiday decorations. This tour is offered on November 24 and November 25, and again from December 16 through December 30, with the exception of Christmas Eve and Christmas Day. Shop artisan goods from local vendors, stroll through light displays, enjoy live entertainment, taste traditional German food and drink Gluhwein in the Biergarten at the annual Cambria Christmas Market. Kick off the holiday season at the 42nd Annual Holiday Parade in Downtown San Luis Obispo, starting at 7:00 p.m. This year’s parade theme is “Holiday Hoedown” so come in your season’s finest and spread the holiday cheer. Enjoy holiday festivities at the annual tree lighting in Pismo Beach from 5:30 p.m. – 8:00 p.m. This free, family fun evening will include fresh snow, bounce houses, crafts, music, and cookie decorating. Join the holiday fun in Morro Bay at the Lighted Boat Weekend! Events are taking place throughout this action-packed weekend include the Lighted Boat Cruise, Lighted Boat Parade, and Non-Motorized Paddle Parade. Santa arrives on Amtrak’s Pacific Surfliner at 2:30 p.m. on December 2! Join him and Mrs. Claus at the historic Railroad Museum in the La Cuesta, the Museum’s historic observation car. Enjoy a special evening walk around the lake with musical groups, carolers, community singing, and more at the Holiday Musical Walk Around the Lake, happening on 5:30 p.m. – 9:30 p.m. at the Atascadero Lake Park. On December 8, there will be snow on the Central Coast! From 5:00 p.m. – 9:00 p.m. at the Sunken Gardens in Atascadero, there will be 50 tons of snow during the Winter Wonderland. Visitors can go sledding on massive snow slides, experience live entertainment, and enjoy numerous food and craft vendors. The Civic Ballet of San Luis Obispo will be performing the holiday favorite, The Nutcracker, at the Christopher Cohan Center. Book your tickets today to experience this classic, winter production with your family! Experience the magic of the holiday season as the zookeepers step in as Santa’s elves to prepare gifts for the animals at Holiday Magic at the Charles Paddock Zoo, happening 11:00 a.m. – 2:00 p.m.
We promise your winter vacation to San Luis Obispo will be a trip you’ll never forget!